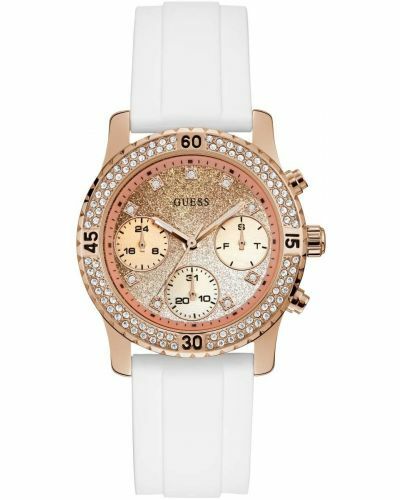 This striking women's watch is brought to you by Guess as part of their Confetti collection and features an oversized stainless steel 38mm case and crystal embellished bezel. Housed under protective mineral glass is the beautiful blue and silver gradient glitter dial and three sub-dials presenting the day, date and a 24 hour time format. 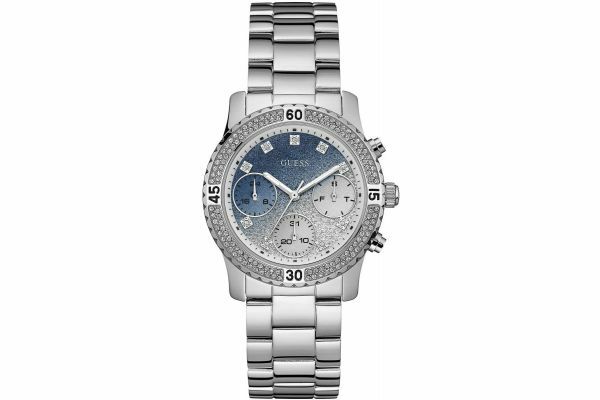 Elegant silver hands complete this glitzy dial. 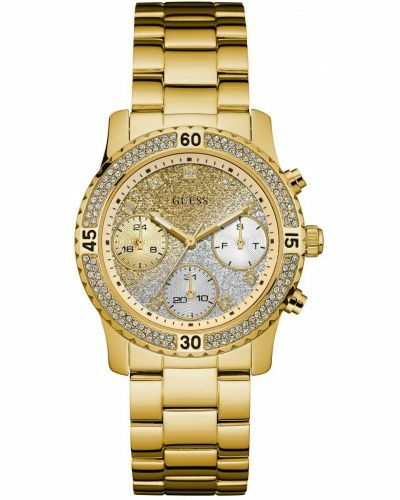 Set upon a sophisticated stainless steel triple link bracelet and fastened by a secure fold over with push deploymment closure; the Confetti watch is both comfortable and stylish. Powered by Quartz movement and water resistant to 50 meters; the Confetti watch comes complete with a two year guarantee and official Guess packaging. 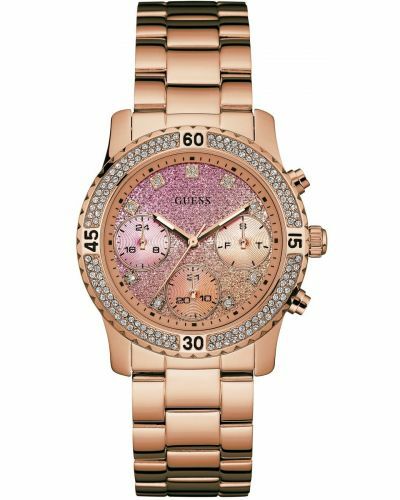 For us to size your new Guess Confetti watch as accurately as possible, please take a look at our downloadable Watch Sizing Guide.